We are leaders in the canine odor detection industry. We specialize in explosive odor detection as well as drug and contraband, currency, cell phones, other electronic devices and locating missing persons (human odor detection). U.S. Government agencies, foreign governments and cargo industry professionals seek our 40 years of expertise to solve the most demanding security issues. We realize there is no room for error and continually train to provide the best service available. Our rates are competitive. Our commitment to your security needs is unequalled. 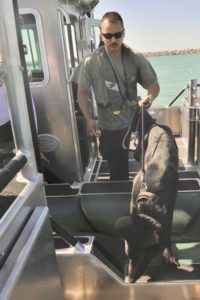 Our K9 Teams continuously train in a variety of environments to include air cargo, cruise ship, rail transportation, rental car and educational facilities among others. Our dogs are friendly and approachable, working hard to eliminate any anxiety to your workforce. The Teams are comfortable working in high traffic and noisy environments. They know to go about their duties with minimal disruption to the workflow. We work closely with your managers to ensure your work flows smoothly while we fulfill our obligations to you. We will be there for you whether you need one K9 Team or hundreds. Whether you have one location or dozens. Whether you need a long term commitment or just one day. Whether you are near or far (we can jet or helicopter to you if needed). We are committed to earning your trust and repeat business. Our Executive to Executive (E2E) Program ensures that you have easy, direct access to our top decision makers whenever you require immediate action. At A&A, customer service is as important as performance excellence. *Our executives will be personally committed to your success and will tailor a program specific to your needs and budget. A&A Detection and Support Services (www.k9detection.net) and our sister firm, International K9 College (www.ik9c.net), both owned and operated by Robert Anderson, are committed to your safety and business success. Bob Anderson is well known worldwide as an innovator in K9 tactics and practices. He is a certified Master Trainer whose expertise and advice is well respected and often sought. He provides daily on site leadership to all A&A activities. He is hands on. You will seldom find him behind a desk in a corner office. He will typically answer your call on his cellphone, not the office phone. 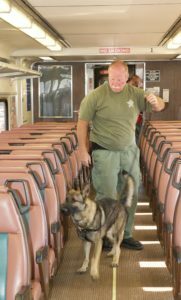 He will be personally involved in the acquisition and training of your assigned K9 Teams. 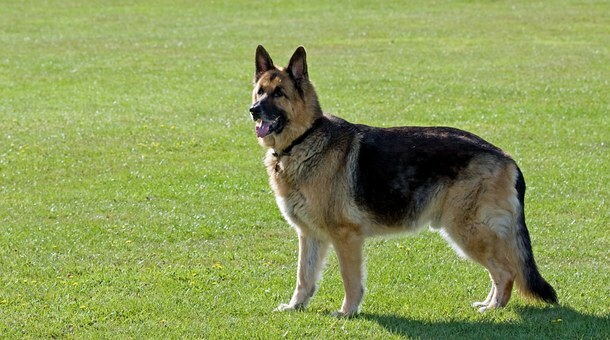 This is his strength and a benefit to you as we solve your k9 detection security needs. Dennis White and the staff assigns and schedules your A&A K9 Teams, arranges K9 team transportation, pays the bills and invoices customers. Denny is a retired FBI Assistant Inspector and former FBI Bomb Tech. He has extensive large project, big budget expertise and was case agent or executive manager of several FBI Major Cases including the Oklahoma City bombing. He can anticipate your needs and plays an integral part in ensuring your project is a success and worry free. *Our efforts to keep overhead costs low mean savings for you. We choose to eliminate fancy offices and expensive advertising. This keeps our costs low and allows us to purchase top quality dogs and hire and retain the best employees. Word of mouth referrals and repeat customers have always been our hallmark, making expensive advertising unnecessary. We happily pass those savings on to you. We invite you to consider A&A Detection and Support Services, Inc. should your current or future plans include canine detection needs. You will find us eager to assist you in protecting your valuable cargo, assets and employees at competitive rates.